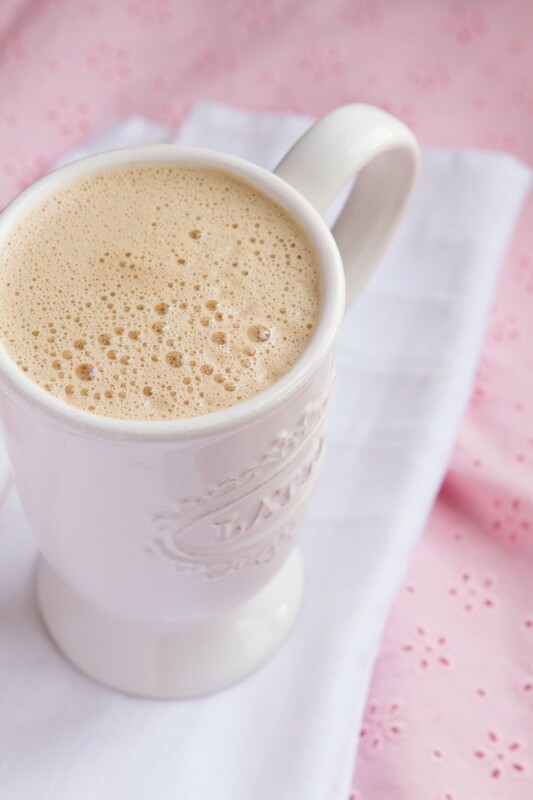 Use hemp seeds and cacao butter as the base to your creamy keto “butter coffee” to turbocharge fat burning while regulating your hormones and abolishing cravings. There’s this keto thing that everyone’s drinking called Bulletproof Coffee. Maybe you’ve heard of it? It’s a blend of MCT oil and grass-fed butter with… coffee. Maybe you’re thinking, “Drinking fat? Leanne, you have me ALL wrong.” Please, give me a chance. Here’s the thing, I’ve realized that the classic keto blended coffee combo of MCT oil (or coconut oil) and butter doesn’t work for (most) women. It leads to cravings, blood sugar lows, shakiness and hormone fluctuations. All bad things. Over the last 3 months, I’ve been adjusting the original keto recipe to come up with a keto formula that works better for women: that keeps us in a fat-burning state, maintains our morning fast, regulates hormones and without using butter. Because for most of us, butter makes our insides go crazy. And I call it, the Rocket Fuel Latte. 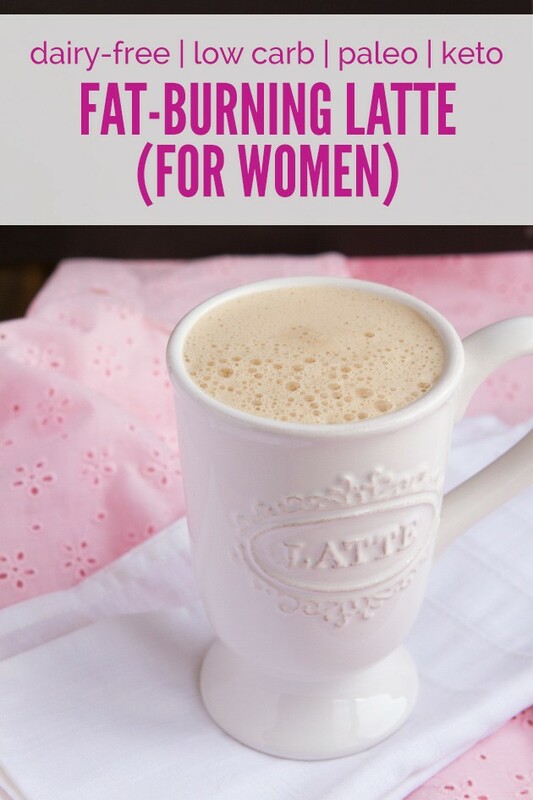 I show you why the classic keto “butter coffee” doesn’t work for women and the simple steps you can do to be a keto, fat-burning machine, all day long. 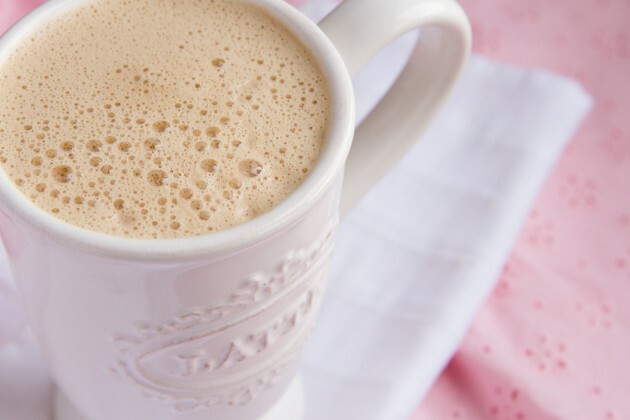 Rocket Fuel Lattes make the classic keto butter coffee, better. 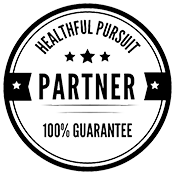 Each keto ingredient has been specifically chosen for a purpose. In the video (above) I share the 4 simple rules for making a keto Rocket Fuel Latte of your own, if you want to sub ingredients for other ingredients. The MCT oil: boosts metabolism, kicks up our fat burning. The cacao butter: boosts serotonin levels so you start the day off happily. The collagen: resets leptin, so that your body understands what fuel is what. 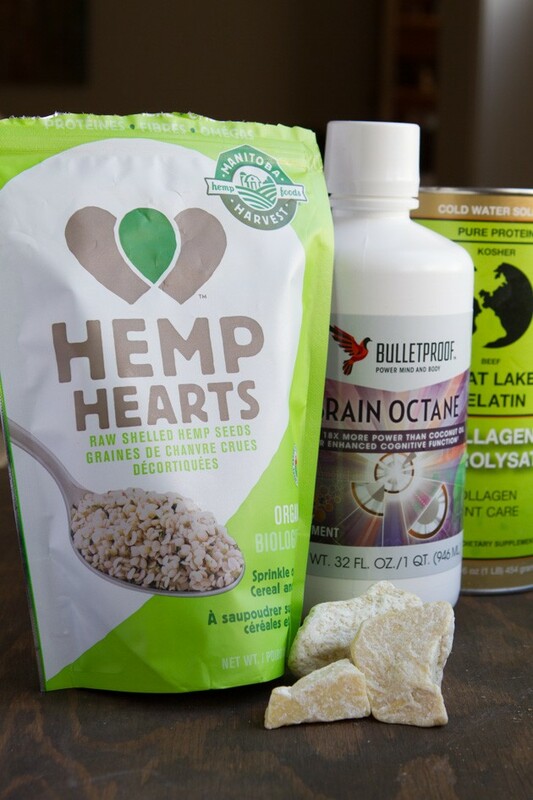 The hemp hearts: send the message to your body; specifically your hormone system, that everything is safe. 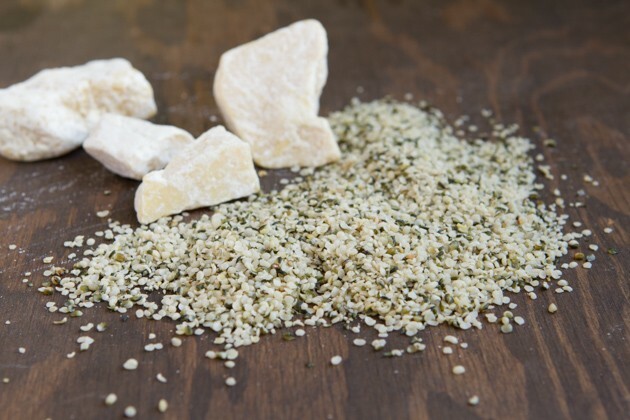 3 tablespoons of hemp hearts are 0 net carbs, so shouldn’t stop your “fast” if you’re practicing intermittent fasting. The key here is to add a small amount of protein and carbohydrates to your Rocket Fuel Latte. Again, the 4 simple rules for making a keto Rocket Fuel Latte are in the video (above). A (creamy) upgrade to the classic keto butter coffee... without butter! Specifically made to assist women in burning fat all morning long while regulating hormones and abolishing cravings. Brew coffee, add to the jug of your high-powered blender along with MCT oil, cacao butter, hemp hearts and stevia. Blend on high for 1 minute. During the last 10 seconds, add collagen. Transfer to a cup and enjoy. MCT Oil vs. Coconut Oil: I like to use MCT oil in my keto Rocket Fuel Lattes. Totally a preference thing. Do what feels right. How To Make Vegan: Replace the collagen with a touch more hemp seeds, up to 3 tablespoons (3 tablespoons = 3g carbs, 9g protein) or with this vegan, low-carb protein powder. No matter what you do with this keto recipe, I highly recommend keeping in the MCT oil (or coconut oil), collagen and hemp hearts. I’ve become quite particular about my coffee beans. I’ve had good coffee beans (that make me feel on top of the world) and bad coffee beans (that make me sleepy, grumpy, stupid and shaky). I only recommend things on the blog that have worked for me, that I trust will work for you, too. Which is why I recommend the Bulletproof brand of decaf coffee and regular coffee as my coffee of choice. It’s the only bean I’ve used that consistently makes me feel good. Take it or leave it. What can you use instead of…? MCT oil or coconut oil: hemp oil, avocado oil, red palm oil, ghee or butter (if tolerated), etc. Cacao butter: MCT oil, coconut oil, red palm oil, ghee or butter (if tolerated), hemp oil, avocado oil, 100% dark chocolate, etc. Collagen: 3 tbsp of hemp hearts or nut/seed butter, gelatin, your favorite low-carb protein powder, egg yolk(s), etc. 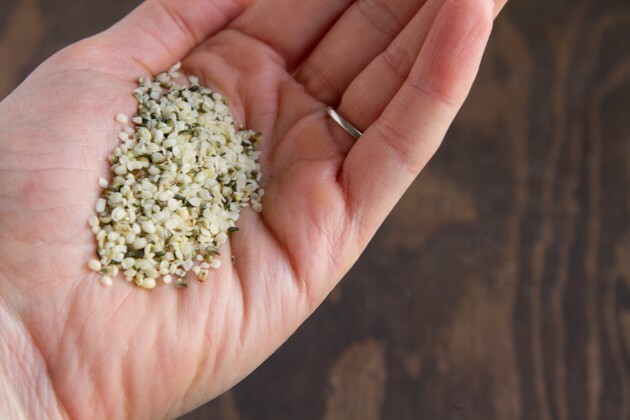 Why do the hemp hearts turn to sludge and don’t blend well? Probably because your blender isn’t strong enough. If this is the case, you can swap out the hemp hearts with 1 tablespoon of your favorite unsweetened nut or seed butter. How do you measure the cacao butter since it comes in chunks? Does it have to be EXACT? You can melt it beforehand, chop up very small, or weigh it. The recipe is a guideline, you can use as much fat as you’d like, and swap out certain fats for others. Play with it! Is powdered MCT oil ok in this recipe? You bet it is! To equal the same amount of fat from the MCT oil, you’ll need about 2 scoops of MCT oil powder. 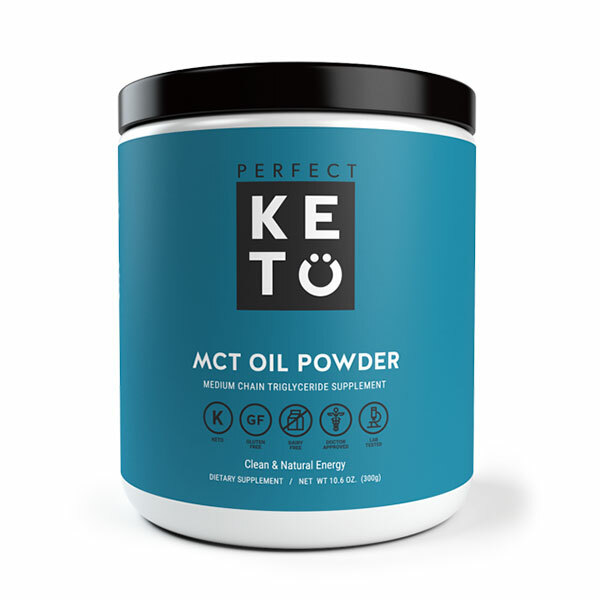 My favorite MCT oil powder is from Perfect Keto. Anyone wanting to increase their fat intake, boost your ketogenic diet results, and more. AND! Men can drink it, too! Who is rocket fuel latte NOT good for? If you’re concerned about whether or not rocket fuel lattes would be good for you, it’s best to chat with your healthcare team. When should you drink rocket fuel lattes? Is pre or post workout ok? Depending on your training. For more about how to adjust your ketogenic diet for exercise and your training schedule, check out my paperback, The Keto Diet. Is it better to have it in the evening or morning? You can have it any time. If you’re drinking in the evening, try to go for caffeine-free fatty coffee. Can you have it as a snack? You bet! Does this replace a meal? Do you have lunch as usual? Eat when you’re hungry – sometimes I have an RFL with a meal, sometimes I don’t! Can you have more than one in a day? You bet! How does this not break your fast? What does it mean if you drink this and have digestive problems? Probably that you ate too much fat. Watch my video on how to overcome fat digestion issues on keto. Do you have any other RFL recipes? Can you be successful on keto without RFLs? Of course! Do what makes you feel good. Try a keto breakfast like my Keto Raspberry Breakfast Pudding Bowl, The Everything Awesome Frittata, Keto Overnight Oats, Crazy Good Keto Pancakes, Grain-Free Hemp Heart Porridge, or Crispy Flourless Flaxseed Waffles. I’m making a video for you! You like that? I said I promised I would sing to you. There you have it so you can all get off my back. No, I’m just kidding. I’ll totally sing for you again. Or, if your cat propped up his ears and started having a hairball incident in his throat, just tell me to never sing again and I will honor your request. Nothing to do with singing or cats or hairballs, we are going to talk about how to make your Bulletproof Coffee better. What is a Bulletproof Coffee? You may have also heard it called butter coffee. Basically it is a fat filled drink that you eat in the morning, or rather drink in the morning, instead of having breakfast. It’s a blend of usually coffee or tea, or you can use hot water. You blend it with MCT oil. There’s been a little bit of chatter online about how MCT oil is evil and shouldn’t be consumed. I don’t prescribe to that approach. Also, in a classic butter coffee, or Bulletproof Coffee, there’s butter. Here’s the problem that I have with the classic Bulletproof Coffee of MCT oil and butter, especially when it comes to women’s health. A lot of my clients when working with one-on-one, and also in our keto group, which you gain access to when you purchase my book, The Keto Beginning. After the blended concoction, whether you make it with coffee, tea, or water, a lot of people have been dealing with cravings after it, or low blood sugar to the point that they get shaky, or hormone fluctuations. A lot of people are allergic to dairy, meaning that they can’t put the butter in the coffee. If this is you and you’re noticing some strange things after you have your butter or Bulletproof Coffee … Heck, maybe you’re vegan and you don’t do the butter and you don’t feel like downing some coffee with a bunch of MCT oil in it. I’ve changed up a couple of things in the Bulletproof Coffee recipe that I seen butter resonates with the women in our community as well as with myself. I’ve called it the Rocket Fuel Latte. You’re probably thinking, “Leanne, what the heck? I’m going to have fat in my coffee in the morning? That is gross.” Here is how Rocket Fuel Lattes work so that you get on the bus with me and we drive to Rocket Fuel Latte town. The first thing is fat burning. When you wake up in the morning your body is primed to burn fat. What happens when we start our day off with a bowl of cereal, oatmeal, or maybe a slice of toast with some avocado on it? We stop the fat burning magic from happening, it’s quite sad, really. The other reason why starting off the day with a Rocket Fuel Latte is awesome is because it sends the signals telling our bodies that everything is okay. With a Rocket Fuel Latte we’re sending a specific signal to your hormones leptin and ghrelin that tell us that we’re happy, we have the fuel that we need, and that all is good with life. When we have just MCT oil with the butter it can confuse these hormones. Leptin, for example, I imagine it like a little taxi driver that goes through your body and tells your body what fuel it has, what fuel it doesn’t. This little taxi driver gets up to your brain and says, “We need more fuel.” Your brain goes, “Oh my gosh, we need more fuel.” Really, leptin is all messed up because there’s tons of fuel left, leptin just got the wrong message and it’s like the telephone game and he got really confused along his way. By using the Rocket Fuel Latte approach we make sure that those hormones specifically are calmed down and as women we also tell our endocrine system, which creates all of our estrogen, progesterone, and everything, to continue being good and happy and solid and perfect. There’s a [00:04:00] couple rules around making a successful Rocket Fuel Latte, and they all revolve around making sure that we stay in a fasted state for the morning because that’s when we’re going to burn the most fuel. A couple of rules, there’s four of them. The first one is, less than 10 grams of protein per serving. The second one is, put as much fat in there as you’d like, girl! The third one is, make it less than three grams of carbohydrates. The fourth one is, if you stop eating at night at 9:00PM you are going to have your coffee at 9:00AM. There’s only a 12 hour window between the time you have your last meal and the time you have your Rocket Fuel Latte. Any more than that and it sends that danger signal, especially as women, saying that, “Not everything is safe, we should stop producing certain hormones,” and it can get all crazy on us. Now, maybe you’re like, how can I get this rocket fuel action going in my life so that I can be situated? So that I can have normal hormones and that my blood sugar is regulated? That I can enjoy my blended coffee without the use of dairy because butter makes my insides crazy? So that I can abolish my morning and mid-morning cravings? And so that I can have a level head and a strong brain? 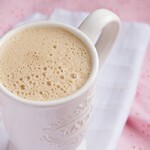 Through the magic of technology, if you are watching this video on healthfulpursuit.com the answer and the recipe for my Rocket Fuel Latte is below this video. If you’re watching this video on YouTube and you’re not on healthfulpursuit.com then you’re going to have to go over to healthfulpursuit.com. I’ve included the link to the Rocket Fuel Latte right around here somewhere. You can go there, but before you go, wait just one sec. You should subscribe to my channel. Every month I release new videos that have everything to do with being awesome and living high fat and creating an eating style that works for you. If you love the high fat message and you’re really curious about what this is all about and you’d love for me to show you more, you should get my book. I’ve included a link to my book up here somewhere. You can click over there, check it out, if it resonates with you I would love to have you join our community. I hope you enjoyed today’s video, make a Rocket Fuel Latte, let me know what you think, let me know how you feel. I will see you soon. Bye!